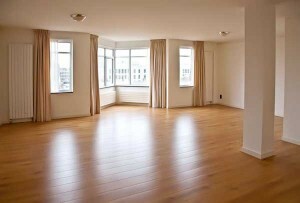 Rental customers can turn to us for high quality end of tenancy cleaning in Hammersmith. We know what professional end of tenancy cleaning is all about and will be more than capable to handle your cleaning request accordingly. Over the years, our company has worked closely with rental agents and landlords thus becoming one of the most reliable and efficient tenancy cleaning service providers right now. We know what landlords and letting agents expect and require of one such service, and we know how to make it happen. We know what professional end of tenancy cleaning is about and will also be significantly more than qualified to manage your cleaning request accordingly. Our diligent and well organised cleaning teams are made up of qualified cleaning technicians who will go about their work with professional pace, precision and efficiency. The cleaning process will be done in a structured, systematic fashion, with the least amount of disruption to customers’ schedule. Our end of lease cleaning in Hammersmith is a fully comprehensive cleaning treatment which covers the entire place from top to bottom. Naturally, customers can have us focus on specific rooms or areas which require more cleaning time and effort. Generally, the cleaners will invest extra time and effort into cleaning heavy duty rooms like the kitchen, the toilet and the bathroom, as well as high traffic zones like hallways, staircases and front door areas. All of these will be under lots of scrutiny during the final landlord inspection so we need to ensure immaculate hygiene where it matters most. The end of tenancy cleaning service in Hammersmith is a highly recommended, professional grade cleaning solution. This means we leave nothing to chance, and ensure all cleaning requirements set forth have been dealt with accordingly. Our cleaning teams will be able to perform the service as per the specific requirements outlined in the landlord-provided tenancy cleaning checklist. If no such list was made available to vacating tenants, the cleaners will follow their own checklist and still ensure everything is up to scratch and on track. 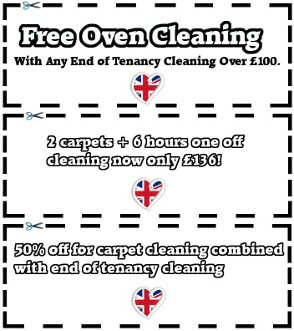 You can also combine this service with another, like carpet cleaning for a better price. We understand and appreciate the fact that our professional end of lease cleaning service in Hammersmith is all about results and affordability. In order to yield the best possible cleaning results without costing our customers silly money we use only highly effective, industry approved cleaning products and materials. This not only cancels out the risk of substandard cleaning, but also reduces service times. Reduced cleaning time means fewer overall costs for our customers – cost efficiency is an essential aspect of our cleaning services. In order to present your landlord or letting agent with a perfectly clean and sanitised interior, we recommend having the tenancy cleaning done as late as possible or just before the final inspection. For best results, we will need a certain amount of hours, so please bear with our cleaners for the time being as it is all to your benefit. Generally, we can schedule your tenancy cleaning for a suitable off-peak time and day of the week, including evenings, weekends and public holidays. – in our book that is genuine value for money. Our customers can expect moderate service costs and industry standard cleaning results.